We are proud to announce the release of our gorgeous new Real Shetland cushion range. 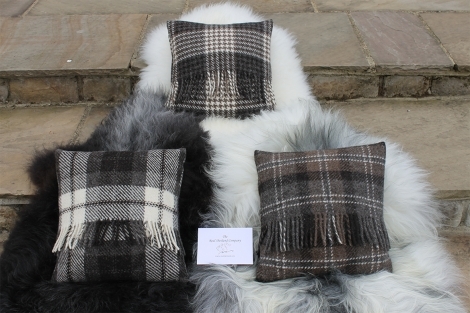 Available in three tartans these cushions are made using our undyed Real Shetland wool with 100% Shetland wool content in both the cover material and the filling. The inner cushion casing is made using fire tested 100% cotton. Cushion size is approximately 15" x 15" & every cushion is made by hand.